Schizophrenia is considered to be one of the most severe forms of mental illness. It is classified as a psychotic disorder, meaning that individuals with schizophrenia have lost contact with reality (having any type of psychotic disorder indicates that the person has lost contact with some aspect of reality). The disorder was one of the first forms of mental illness to be formally identified, and it was originally classified as dementia praecox. In the early 1900s, the psychiatrist Eugene Bleuler coined the descriptive term schizophrenia to describe the disorder as an indication that Bleuler believed that the disorder can be described as a splitting of one’s cognition or thinking from their personality. This notion of schizophrenia being a disorder of a “split mind” led to one of the most common misconceptions regarding the disorder. Caused by drug abuse. Although there are numerous associations between being diagnosed with schizophrenia (or nearly any other mental health disorder) and an increased risk to develop a substance use disorder, there is no formal evidence that suggests that using drugs can cause one to develop schizophrenia. This includes the use of hallucinogens like LSD. The same in all individuals diagnosed with the disorder. Schizophrenia is a heterogeneous disorder that can be diagnosed according to numerous presentations and can consist of symptoms that are entirely different in different individuals. A disorder of multiple personalities despite the interpretation of the term schizophrenia as meaning “split mind.” That disorder is currently classified as dissociative identity disorder. A disorder that is often associated with serial killers. In fact, the most common crime committed by people who have schizophrenia is vagrancy. While there are cases of murderers having schizophrenia, this is the exception rather than the rule. The vast majority of people with schizophrenia are not dangerous. Only a licensed, trained, mental health professional, such as a psychiatrist or psychologist, can formally diagnose any psychiatric/psychological disorder. There are no blood tests, brain scans, or other medical test that can formally be used to make a definitive diagnosis of any type of mental illness. The diagnosis of a disorder such as schizophrenia is made on the basis of a thorough assessment using specific behavioral signs as diagnostic criteria. Hallucinations: Hallucinations represent the subjective experience of sensory stimulation in the absence of an actual sensory experience. For instance, the most common form of hallucinations that occur in individuals diagnosed with schizophrenia is auditory hallucinations. The most common form of auditory hallucinations that occurs in the disorder is hearing voices that actually are not there. Other forms of hallucinations include visual hallucinations (seeing things that are not there), tactile hallucinations (feeling things that are not actually present), olfactory hallucinations (smelling things that are not present), and gustatory hallucinations (tasting things that aren’t there). The experience of olfactory or gustatory hallucinations is quite rare, even in individuals diagnosed with psychotic disorders; however, they do occur.Hallucinations are not misperceptions; they are not the misinterpretation of some actual sensory experience, such as hearing a bird call and thinking that it’s a person singing or talking. Instead, they represent the subjective experience of some sensation in the absence of any physical stimulation. Seeing visual illusions represents an alteration of an actual sensory experience, such as individuals who take colors or sounds as being brighter or more acute than they really are, and these are not considered to be hallucinations. Delusions: Delusions are very rigid beliefs that lack any validity to them yet they are very resilient to change even if it is quite clear that they could not be true. The delusions that occur in individuals diagnosed with schizophrenia often have similar themes, such as delusions of persecution (the belief that one is being harassed or the target of potential harm when in fact it is not true), erotomanic delusions (believing that some other person is infatuated with them or in love with them when there is no reason to believe such a thing), the illusions of reference (believing that events in the environment are directed at the individual, such as the television is sending the person messages, a speech from a politician is directed solely at the individual with schizophrenia, etc. ), delusions of grandeur (the belief that the person has some exceptional ability or is some famous well-known person), or somatic delusions (delusions regarding one’s health or body).The delusions that can occur in people diagnosed with schizophrenia are often so bizarre that to outsiders it seems impossible that anyone could actually believe such things, but individuals who are diagnosed with schizophrenia hold onto these beliefs with great conviction. The most common symptoms that occur in individuals diagnosed with schizophrenia represent variations on hallucinations and delusions; however, other symptoms can also occur. Disorganized motor behavior: Disorganized motor actions represent a lack of goal-directed behavior. The most well-known of these is catatonia, which represents a decrease in one’s ability to react to stimuli in the environment, and it is often observed as individuals maintaining rigid body postures for many hours at a time. Other manifestations of catatonia occur when individuals make disconnected movements at random. Some individuals with very severe manifestations of schizophrenia are unable to verbally respond at all to questions or commands (mutism). Disorganized thinking: Disorganized thought represents a severe manifestation of psychosis. Individuals are often unable to maintain a specific train of thought (e.g., loose associations that occur when individuals make ties between various statements that have no seemingly real connection; derailment that occurs when individuals go off topic and appear to randomly go back and forth from one subject to another), stray off to unrelated issues (tangentiality), or express or jumble meaningless incoherent syllables (word salad). Because most individual’s thought patterns can be assessed through their spontaneous speech, the clinician often attempts to let the individual elaborate on a series of standardized questions in order to determine the content of their thought processes. Negative symptoms: When an individual with schizophrenia presents with primarily negative symptoms, they are considered to have a severe manifestation of the disorder. Negative symptoms represent a lack of an ability to respond. Some of these include avolition (a significant decrease or lack of motivated activity), diminished emotional expressions (the inability to display emotions such as happiness, sadness, etc. ), anhedonia (the inability to experience pleasure in events that are associated pleasure), asociality (a significant decrease or lack of social interactions), and alogia (significantly decreased logical speech output). When a person is diagnosed with prominent negative symptoms, the prognosis is often considered to be guarded at best, and these individuals as a group have poorer long-term outcomes associated with treatment than individuals with positive symptoms, such as hallucinations and delusions. In the United States, the diagnosis of schizophrenia is made when an individual satisfies the diagnostic criteria developed by the American Psychiatric Association (APA) and formally presented in the current Diagnostic and Statistical Manual of Mental Disorders – Fifth Edition (DSM-5). In the current diagnostic scheme, the classic five major subtypes of schizophrenia have been eliminated due to the current empirical evidence that suggests that schizophrenia is one specific disorder that manifests in several different ways. Older diagnostic categories of paranoid schizophrenia, catatonic schizophrenia, undifferentiated schizophrenia, etc., are no longer given. An individual must express at least two of the main symptoms of schizophrenia that include hallucinations, delusions, disorganized behavior, negative symptoms, or disorganized speech. These symptoms must have been present over a minimum period of time of one month, and one of the symptoms must either be hallucinations, delusions, or disorganized speech. The person must have some displayed symptoms/signs of their disturbance for at least six months and must have had two or more symptoms occurring together for at least one month in that six-month timespan. The symptoms expressed by the individual must produce significant distress or dysfunction at their work, in their relationships with others, or in their ability to care for themselves. The symptoms that the person displays cannot be better explained by some other mental health disorder, the effects of drugs, or the effects of some other medical condition (e.g., a head injury or a metabolic issue, such as a thyroid condition). When a person is considered to be formally diagnosed with schizophrenia, other specifications are also made, such as if the symptoms are believed to be indicative of a first time episode of schizophrenia or if there been multiple other episodes of the disorder. Why Do People Develop Schizophrenia? Schizophrenia is a relatively uncommon disorder. According to APA, overall, females and males have equivalent prevalence rates of schizophrenia but males may have a greater propensity to display negative symptoms that females. The disorder typically appears to emerge between one’s late teenage years and their mid-30s. The presentation of schizophrenia is rare in children, but it does occur. The psychotic symptoms that occur in schizophrenia tend to diminish as one becomes older, and this has been explained as an age-related association with the declines in specific neurotransmitters (e.g., dopamine). Many individuals complain of issues with depression, may have cognitive issues, and may have idiosyncratic-type behaviors prior to the formal onset of the disorder. As a result, many early theories of the cause of the disorder attempted to link it to child-rearing practices by the person’s parents; however, these theories have long been abandoned. An imbalance of neurotransmitters: The notion that schizophrenia is the result of an imbalance of neurotransmitters has been one of the most enduring theories of the cause of schizophrenia. The medications most commonly used to treat schizophrenia are designed to increase or decrease the availability of certain neurotransmitters in the brain. The initial prevailing hypothesis was that schizophrenia is represented as an overabundance of the neurotransmitter dopamine; however, most subsequent research indicated that other neurotransmitters are also likely to be affected in the disorder. Changes in brain pathways: While there are no formal medical tests like brain scans that can be used to definitively diagnose schizophrenia in anyone, many researchers have noted that there are significant differences in numerous brain pathways in people diagnosed with schizophrenia compared to people without the disorder. These findings are often somewhat controversial as the early research in this area looked at the brain structure of individuals who had been placed on antipsychotic medications for some time, and it was believed that perhaps the medication, and not the disorder, was responsible for the observable changes in the brains of these patients. However, subsequent research looking at individuals who have not been maintained on antipsychotic medications indicates that there are differences in the brains of individuals diagnosed with schizophrenia and normal controls. However, it should be stressed that these differences represent research findings and do not represent any formal valid diagnostic criteria currently, even though certain organizations like the National Institute of Mental Health are investigating the diagnostic utility of these findings. Heredity: There remains a large body of research that suggests that genes may play an important role in the development of schizophrenia. The strongest research comes from twin studies, particularly studies using identical twins that were separated at birth. Identical twins (monozygotic twins) have an identical genetic structure. When identical twins are adopted at birth to different parents, they still display higher rates of concordance for schizophrenia than fraternal twins or other siblings who were also adopted by two different parties. In general, there appears to be an approximately 50 percent chance that if one identical twin developed schizophrenia, the other twin will also develop schizophrenia. Even though this is considered to be strong evidence of a genetic connection to the disorder, since it is not perfect and identical twins share the same genetic structure, it also means that there are other non-genetic contributions that must contribute to the risk to develop schizophrenia. Even though there is most likely a strong genetic component to the disorder, no specific genes have been identified that can definitively be used to diagnose the risk of developing schizophrenia in anyone. Other factors: The season of birth has been linked to an increased incidence of schizophrenia (late winter to early spring in some geographic locations and summer for others). The incidence of schizophrenia is higher for individuals who grow up in an urban environment than those in rural areas. Birth complications with hypoxia and greater paternal age are also associated with a higher risk for developing schizophrenia. Other factors such as stress, malnutrition, infection, and certain medical conditions have been linked with a greater risk for an individual to develop schizophrenia. 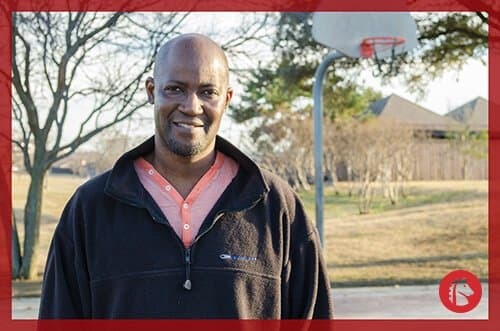 People who are diagnosed with schizophrenia are also at an increased risk to have other co-occurring mental health disorders, including substance abuse issues or formal substance use disorders. APA recognizes that the most common substance of abuse for individuals diagnosed with schizophrenia is tobacco. It is not uncommon for an individual diagnosed with schizophrenia to also be diagnosed with a tobacco use disorder, and early studies suggested that over 70 percent of individuals who had chronic diagnoses of schizophrenia also had nicotine dependence. Research suggests that the nicotine in tobacco products, especially in cigarettes where it is delivered rapidly through smoking, may have some therapeutic-type effects for individuals who are diagnosed with schizophrenia, and this connection may explain why tobacco use is quite common in individuals with this diagnosis. However, despite any potential benefits, the risks of chronic tobacco abuse, such as the development of cancer, heart disease, emphysema, and other diseases, outweigh any potential benefits that individuals may derive from its use. Cannabis: There are studies that have suggested that early cannabis use may be associated with a greater risk to develop schizophrenia in some individuals; however, it is not believed that cannabis use causes schizophrenia. Instead, there is some other relationship that is not well understood at this time. It appears that individuals who are diagnosed with schizophrenia and use cannabis products at moderate to heavy rates also have poorer treatment outcomes than individuals who do not use cannabis. Alcohol: Alcohol use disorders occur at a higher rate in individuals diagnosed with any form of mental health disorder compared to the general population. Cocaine: People diagnosed with schizophrenia who abuse cocaine are less compliant with treatment, have higher inpatient hospitalization rates, and are at greater risk for suicide than those who do not use cocaine. There is some speculation that those with schizophrenia and those diagnosed with stimulant use disorders as a result of cocaine abuse have issues that are associated with dysfunctions with the neurotransmitter dopamine and that this may be why some individuals with schizophrenia may be more prone to severe cocaine abuse. Prescription drugs: The abuse of prescription medications, such as prescription pain medications, benzodiazepines, etc., may also be prevalent in individuals with schizophrenia. Other substances: Individuals with schizophrenia who are homeless may be likely to use drugs that are found on the street, such as heroin. While individuals with schizophrenia may become involved in individual or group therapy, therapy is not the first line treatment option for schizophrenia. Instead, the primary form of treatment includes the use of antipsychotic medications. Early antipsychotic medications such as Thorazine (a major tranquilizer) were effective in reducing some of the symptoms of schizophrenia (especially the positive symptoms such as hallucinations and delusions), but their use also resulted in significant side effects, including the neurological condition tardive dyskinesia, which consists of involuntary movements of the face and other parts of the body. Over the years, other drugs have been developed for the treatment of psychotic disorders, and some of the more familiar drugs include Seroquel (quetiapine), Zyprexa (olanzapine), Risperdal (risperidone), and many others. Early medications typically targeted the neurotransmitter dopamine and decreased its availability in the central nervous system; however, newer antipsychotic medications often target more than one neurotransmitter. Most individuals with schizophrenia will remain on some form of medication for a good part of their life, if not for their entire life. 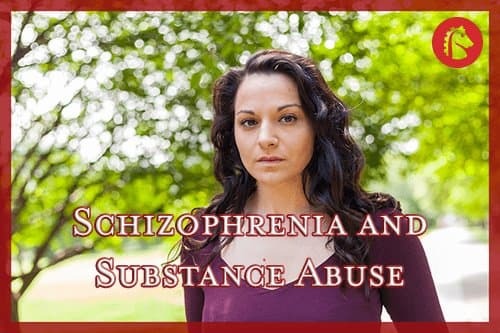 People who have a diagnosis of schizophrenia and a co-occurring substance use disorder would still be treated with antipsychotic medications and other medications as well as undergoing concurrent treatment for their substance abuse issue. Depending on the individual’s capacity to participate in treatment, this may include substance use disorder therapy, support group participation, and other forms of behavioral interventions. Individuals who have developed physical dependence on drugs would be placed in a formal physician-assisted withdrawal management program. The treatment outcomes for individuals with schizophrenia are far more positive when co-occurring issues like substance use disorders are also addressed. Therapy can be useful for treating issues associated with adjustment and family issues, and in teaching relaxation techniques for individuals with schizophrenia. Often, compliance with medications can be an issue, and therapy can help individuals maintain compliance with their medications. Group or family therapy can also be useful in addressing some of the functional issues that occur in individuals who are diagnosed with schizophrenia.